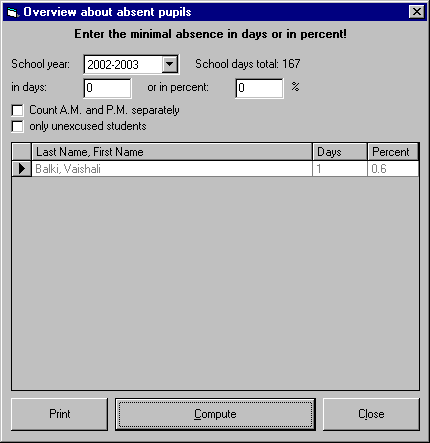 This is the window for overview about absent pupils . For a description of the buttons please scroll down. This is the window for overview about absent pupils. Click on any button to simulate the function. : It will compute the percentage of the days pupil was absent. : It will close the window and return to main window of HERA.